Are you visiting Amsterdam with your family with (small) children? And would you like to rent a bike to explore the city with? If so, A-Bike wants to help you on your way. In this article, we’ll give you the most important tips and tricks for the ultimate biking experience with your family in Amsterdam. Is it safe to rent bikes with kids in Amsterdam? Small children who can’t yet ride a bike on their own can ride with an adult on his or her bike, for example in a child’s seat on the handlebars, behind the seat, or in the front of a cargo bike (read more below about the different kinds of bikes). Of course adults with a child on the bike must adhere to the most important rules of safe cycling. Keep your bike on the clearly marked bike lanes, and don’t cycle in places where it’s not permitted to do so. Are you unsure? Then dismount your bike and walk it a bit further up the sidewalk until the situation is clear again. Never brake suddenly. And finally, never bike through a red stoplight. Can the children already cycle? Then they’re probably itching to get out on their own bikes. We advise parents to review the safety rules mentioned above with their children. While cycling it’s handy to have your child ride ‘on the inside’ (between the adult and the curb). Wearing a helmet is not mandatory in the Netherlands, but we firmly recommend it. What kind of bike should I rent with a family? This bike is appropriate for adults. Does your child weigh less than 15 kilograms? Then you can bring him or her in the child’s seat attached to the handlebars. If your child is heavier than 22 kilograms, then you can bring him or her in the child’s seat on the back of the bike. The low-sitting frame makes it easy to get on and off. Does your child weigh more than 22 kilograms, and is he or she not able to cycle yet? Then a cargo bike would be a good choice. 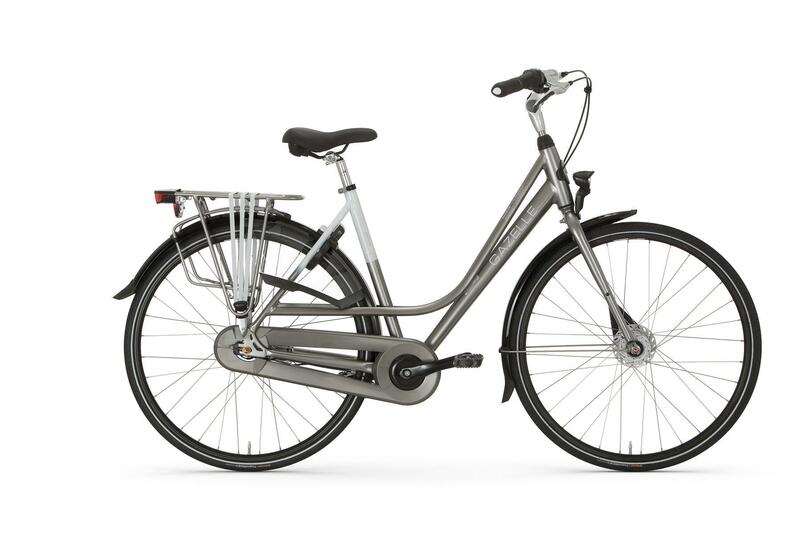 This practical bike is very popular with families in Amsterdam. Two children fit in a cargo bike, where they sit on a small bench with safety belts that ensure they stay in place. Can your child ride a bike, but you’re scared that he or she will eventually get too tired? Or are you skeptical about letting your child bike on his or her own? Then the tandem is a fitting alternative: you’ll use teamwork and bike together. Fun guaranteed! For children up to age 10, A-Bike rents special child’s bikes. The smaller bike is extra safe due to the reflectors, the anti-slip pedals and the hand breaks for the front and back wheels. Discovering Amsterdam by bike is an unforgettable experience for the whole family. A-Bike provides bike rentals for young and old alike, so that the whole family can join in on the fun. You bring small kids that can’t ride a bike yet on your bike. A-Bike provides you with children’s seats that can be attached to the handlebars (for children under 15 kilograms) or on the back of the bike (for children up to 22 kilograms). In a cargo bike there is room for two kids, even if they weigh more than 22 kilograms. Can your child ride a bike? Then he or she can cycle along on an extra safe children’s bike. Fun guaranteed!